Planning to start a high-risk ecommerce business in Canada, or to expand an existing brick-and-mortar business to the digital world? Don’t let scaremongers fake you out about credit card processing solutions. Toss your worries away… You don’t have to go offshore. Landing a domestic Canadian merchant account seems like a long trek for a high-risk merchant, somewhat akin to seeking the Holy Grail. But ecommerce businesses accrue huge benefits from access to a secure payments processing account at domestic rates — if they can find one. Most conventional financial services providers, including Canadian banks, make it difficult (if not impossible) for “high risk” merchants to open a domestic Canadian merchant account. Because this negatively impacts any business, it’s a situation every merchant tries hard to avoid. Indeed, there’s really no online business at all without the ability to process payment card transactions. Regardless of what you’ve heard, Canadian merchant accounts do exist for high-risk merchants. If you’re a merchant who prefers doing business with Canadian banks — avoid the angst and keep reading. When looking for a cost-effective and reliable merchant account, it all comes down to who you know and their reputation. The right payments solution expert cultivates relationships with banks willing to work with high-risk accounts. That’s even better when the banking contacts are domestic. You want allies to help you tap into local markets. Enjoying cost-effective domestic Canadian merchant accounts can lead to increased profits by helping your company maximize profits. Faster funding times (usually within 24 hours). Some processors set you up with your own merchant account, while others process your business through a joint account. Joint processing means that on settlement, your funds are deposited into the processor’s account instead of straight into yours. Which matters because if there’s any suspicious activity (suspected fraud), the processor holds your funds for the duration of an investigation. Funding delays result — which means you won’t receive your revenues for (sometimes) several weeks or months. It’s hard to keep a business afloat without operating capital. Lower rates and pricing. 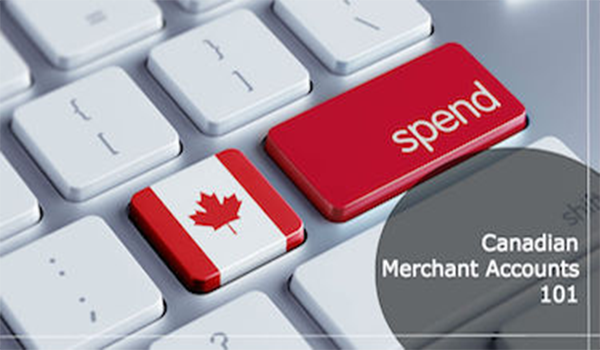 Canadian merchant accounts offer cost-effective processing solutions for domestic merchants, especially when compared to offshore merchant accounts. If a large percentage of your business’s transactions process Canadian-issued cards, neither you nor your customers will incur cross-border or currency conversion fees on those transactions.Ensure you get the best rates available by working with a processing partner who reviews your business model and matches you with the most cost-effective processing solutions that meet your needs. Flexible underwriting & risk management. Be sure you choose to work with a payment processor who specializes in high-risk merchants. They understand complexities of the payments industry as well as the unique needs of high-risk ecommerce business models. They’ll work with you and the bank’s underwriting teams to ensure your interests remain paramount. Maximize profits by choosing a reputable and stable solution. Look for a processor that offers secure transaction processing via a PCI compliant gateway. Their merchant account offerings should include fraud tools, robust chargeback management, and good reporting for your processing account. In-house support is also ideal. And be sure to avoid surprises by ensuring your account provider discloses all fees and contract terms up front. You may even find someone that doesn’t charge an application or set up fee. No matter your business’s size or type, to accept payment cards you must have the ability to process transactions through a merchant account. Why not make it a domestic Canadian merchant account? There’s no point denying the complex realities of high-risk merchant processing. When you need to find the best Canadian merchant account for your high-risk business, it pays to work with an expert who’s cultivated great professional relationships with Canadian banks. A specialist will assess your unique merchant situation, suggest the ideal processing structure to support your needs, and help put that structure in place. What else might you need? Many merchants can benefit from multiple merchant accounts — perhaps both a domestic Canadian merchant account and one in Europe or offshore to facilitate multiple-currency processing when your expansion plan targets more countries. Choose a specialist who can act as a digital payments advisor — someone ready and willing to help solve problems with fraud or chargebacks that may arise several months after processing your first transaction. Choose a provider with the technology to support your business ambitions and the desire to see your processing run smoothly and seamlessly. Look for a provider with a solid record and a stellar marketplace reputation.